New Castle Defense co-op mode event to come very soon! Happy Wars may have been out for almost a year now, but that doesn’t mean Microsoft hasn’t been keeping the game as fresh as possible with many new updates. 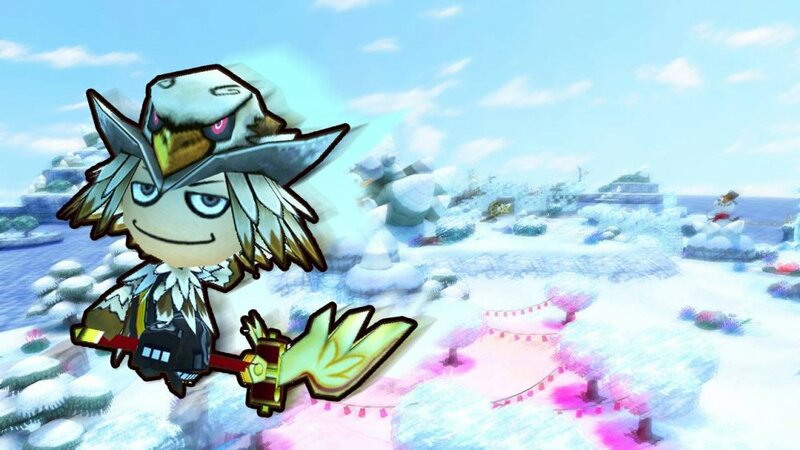 Most recently, Title Update 8 for Happy Wars released with a new class, the Zephyr, information about a whole new co-op game mode coming up, and more. The Zephyr class will mark the first new Mage class to be introduced since the game released last year. Apart from the Berserker class (released earlier this summer), we still are waiting for the arrival of the intended Engineer class to finish out the new playable ones promised from ToyLogic. The primary use of the Zephyr class is for crowd control, using elemental magic attacks (such as whirlwinds) to affect the battlefield and make the enemy think twice before charging in as a whole. Furthermore, an upcoming new game mode called “Castle Defense Mode” features co-op players having to defend their castle bases as long as possible from waves of enemies. Do note, however, that this mode revolves only around an event that is to take place sometime soon. - For this run, Warrior gear as well as the 16 new items added to Happy Cards last week and this week are easier to obtain! - the “Parameter Boost”, which raises your attack power, magic attack power, defense power, magic defense power, guard power, and magic guard power! • The Zephyr, a New Mage class! - New mage class for the experienced player, focusing on battlefield control. - New co-op mode where you must work together to defend your castle at all cost. - This limited-time event will kick off soon, so don’t miss it! • Multiple Missile Skill for the Berserker Class! - A powerful team skill that launches “Rocketman” for all participants at once. • New ways to score! - You can now score every few seconds by damaging more than 3 enemies continuously around an enemy position. - Damaging the enemy castle gate also results in a score. - Earn bonus points by destroying an enemy attempting to attack the flank. Remember that Happy Wars is completely free to play on the Xbox LIVE Arcade, so there’s no reason to not give the game a try at least once.